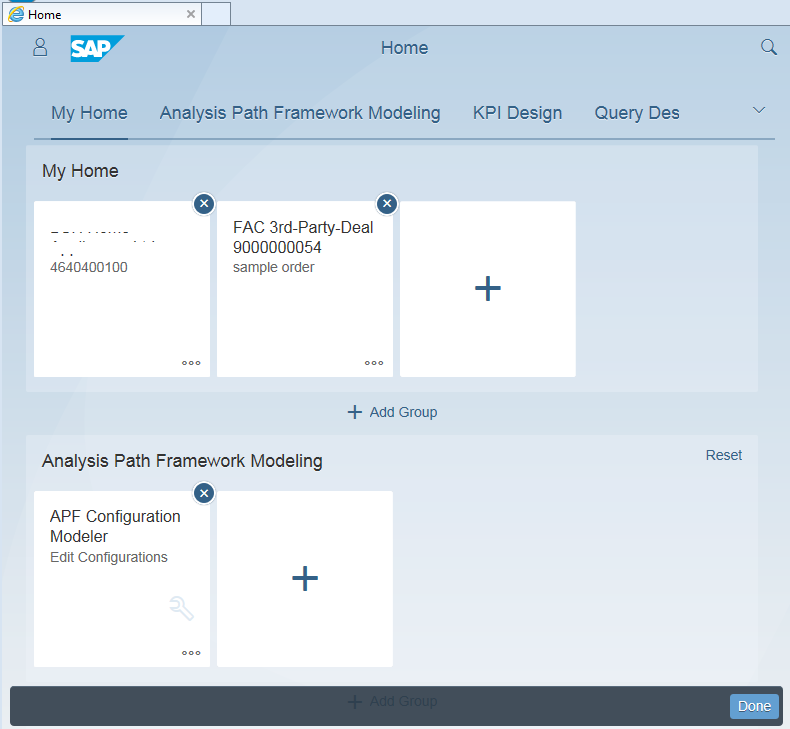 SAP Fiori Launchpad users can customize and personalize the layout and create tile categories and add new Fiori apps into tile groups or remove applications from the Launchpad easily. In this Fiori Launchpad guide, I want to share how SAP users can customize Fiori Launchpad according to their needs. 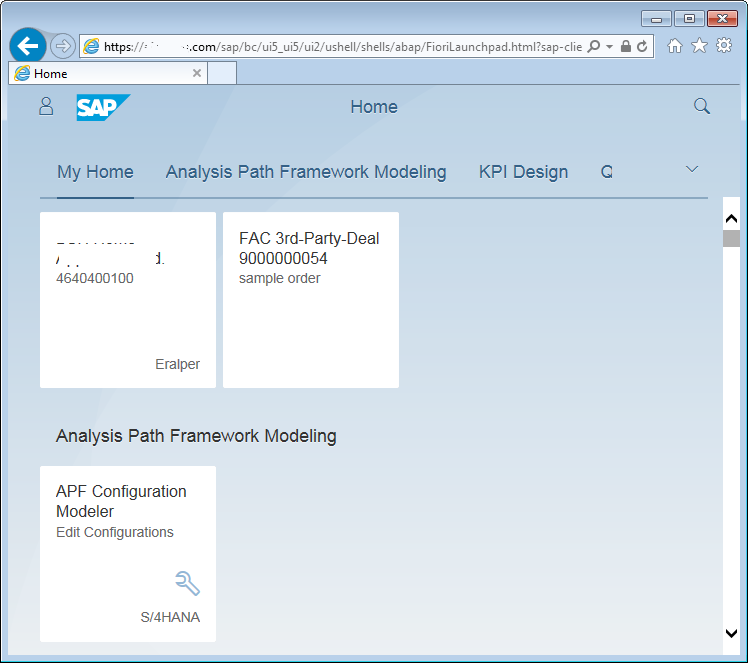 Open Fiori Launchpad using /UI2/FLP SAP Fiori Launchpad transaction. 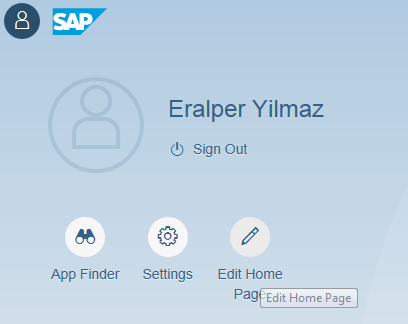 Click on Profile image to navigate to customization page on Fiori Launch Pad home page. The cross sign on the top-right corner of each app tile enables the user to remove the application from the tile group. In every tile group, SAP users will see a tile named App Finder with only plus sign on it. 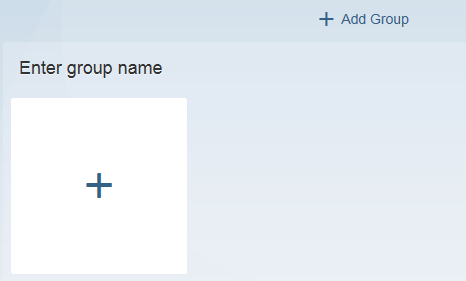 Click on the empty tile except the "+" sign to select a new application for the current application tile group to customize the Fiori Launchpad according to your requirements and needs. 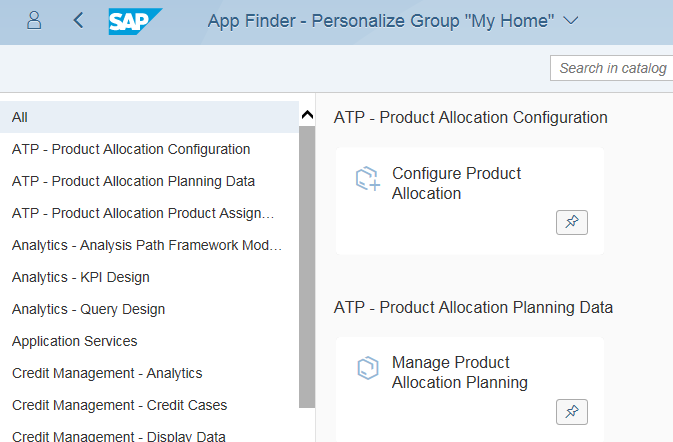 App Finder enables SAP users to personalize the related tile group. Within the App Finder, after you find the Fiori application you want to select, click on pin icon to add the selected Fiori app to current tile group. When users clicks on Home icon, they will see the tile in the tile group.